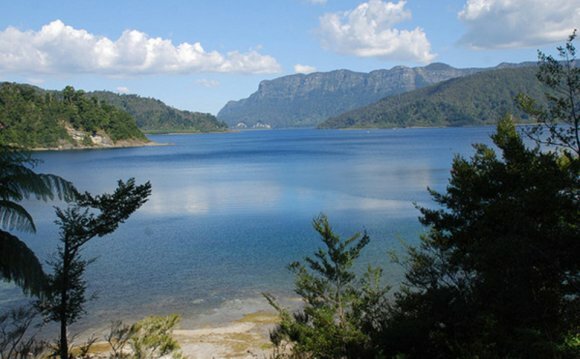 The Lake Waikaremoana Track is graded as a moderate hike. A reasonable level of fitness, agility and sense of adventure is essential. 4-6 hours walking each day over varied terrain. For the first 2 days walkers carry only a day pack, for the last 2 days walkers carry a backpack containing a sleeping bag and clothing for one night (6 - 8kg). Pack cartage for the final 2 days is available by prior arrangement. All other gear will be transported by boat to the end of the track. A support boat is nearby throughout the trip to carry injured or tired walkers. You are encouraged to walk at your own pace, and to rest and enjoy the many spectacular lookouts as much as possible. Classic New Zealand backcountry huts, located in stunning natural surroundings. They are clean and dry, and provide fresh drinking water, bunk beds with mattresses, outside toilets, separate dining and communal areas, and heating. There is no electricity or hot water. A booking system ensures no overcrowding. The isolation and lack of mod-cons create a very special and social atmosphere for hut-goers! See Accommodation Photos under "More Information" on the right of this page.